Montavilla is bustling. Every time I walk down Montavilla’s commercial strip on SE Stark Street I notice changes. New eateries, new pubs, and new businesses. The streets are busy, parking is getting harder to find, and the sidewalks are full. Streetcar Neighborhood: Montavilla is one Portland’s “Streetcar Neighborhoods.” Portland is famous for its pocket neighborhoods, each with their own unique flair and personality. We can thank the streetcar lines that ran through Portland from the 1890’s to1950 for the birth of these neighborhoods. Commercial districts sprung up along the streetcar lines, which were used by people to go to work and to get around. Montavilla is no exception. 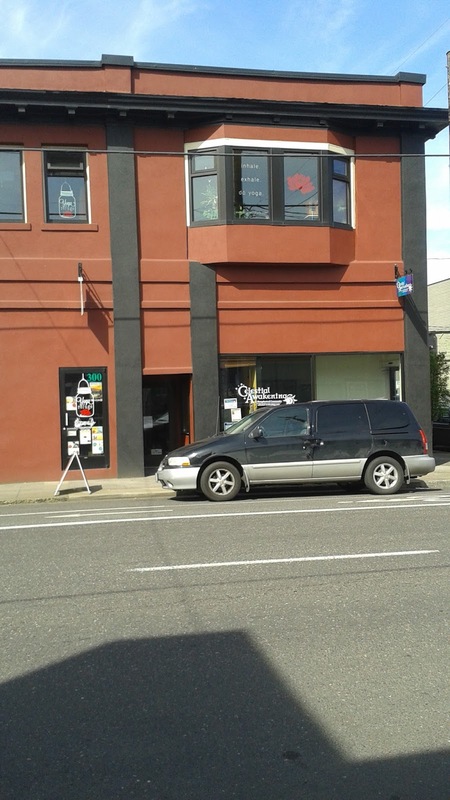 Finding History: You can still see some historic streetcar commercial style buildings (retail space on the ground floor – commercial space above, often with bay windows) in the current Montavilla commercial district. Naming a Neighborhood: In fact, Montavilla got its name from a streetcar. The community was originally called Mt. Tabor Village. The street car roll signs originally showed “Mt. Ta. Villa” and then later “Mounta.Villa.” Residents soon adopted the name as their own. The Line: The Montavilla Loop Line ran east out NE Glisan past Laurelhurst, through North Tabor and into Montavilla. A spur shot south down 80th Avenue and ended at what is now SE Stark Street. The Montavilla line used a portion of the East Ankeny trolley line. The portion of the line that ran through North Tabor came later, and the route alternated between East Ankeny and Montavilla. (Source: Vintagetrolleys.com). 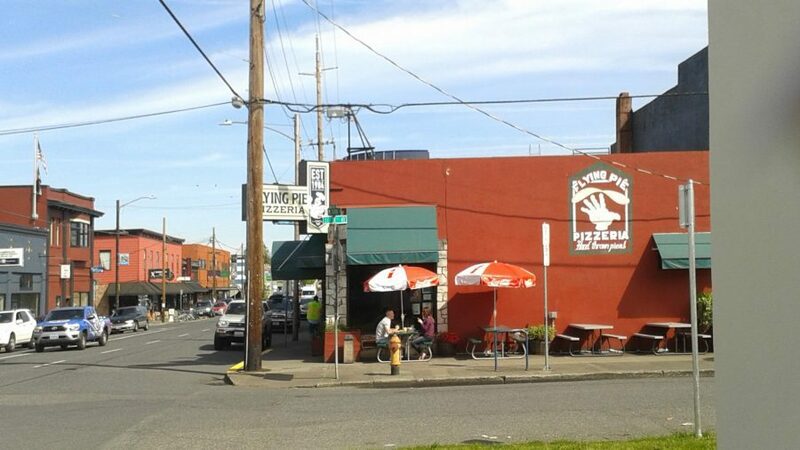 Finding Montavilla: I first discovered the Montavilla commercial district when I moved to the eastern edges of the Mt. Tabor neighborhood in 2007. The commercial district is an easy walk from home, and I fell in love with the opportunity to walk to dinner, to a pub, and to the movies. Now, there’s a farmer’s market in the booming commercial district. Portland favorites, like Townshend’s Tea, are moving in. A Place to Call Home: I often stroll home through the section of Montavilla that borders Mt. Tabor, a rectangle between SE 76th to SE 82nd, and SE Washington to SE Division. It’s a classic Portland neighborhood, with old bungalows, craftsmen, and farm houses, with an old convent turned memory care facility. You can also see how the neighborhood has changed over the years, with mid-century moderns and ranches scattered throughout. There’s also plenty of in-fill and some demolition. Where Have All the Streetcars Gone? I often think about what it would have been like to take the streetcar to Montavilla, or the old Mt. Tabor line that ran up SE Belmont over Mt. Tabor and then up Yamhill. I think even better than the bus, the streetcar is a vehicle for discovering neighborhoods and meeting the people who live and work there. Would you take a streetcar to Montavilla?